Age of Reckoning (WAR), the new MMORPG from the creators of Dark Age of Camelot. Based on Games Workshop's popular Warhammer fantasy war game, WAR features next generation Realm vs. Realm (RvR) game play that will immerse players in a world of perpetual conflict. Upon entering WAR, players must determine their allegiance and join an Army. Those inclined towards the side of good may fight for the Armies of Order as an obstinate Dwarf, noble High Elf, or loyal human soldier of the Empire. Those inclined towards darker deeds may side with the sinister Armies of Destruction as a savage Greenskin (Orc or Goblin), corrupt Dark Elf, or marauding human worshipper of Chaos. RvR combat takes place on three fronts where ancient foes wage an unending war. 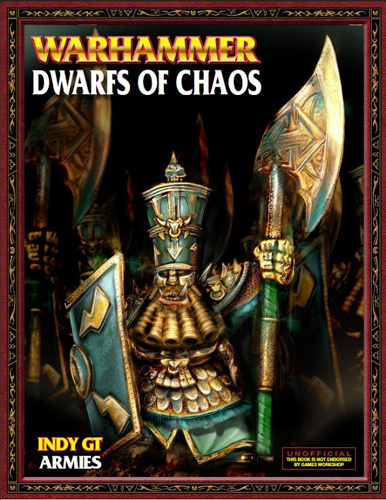 Based on Games Workshop's popular Warhammer fantasy world. Dominated by force of arms and magic, this world provides a rich setting for hundreds of thousands of players to experience the epic nature of war and the glory of battle. A robust combat system introduces Player Tactics (earned powers you equip prior to battle) and Morale Skills (combat options that increase in power when the momentum of battle is in your favor). Player models that change to reflect the relative power of a character (i.e., Orcs grow in size and Dwarfs' beards get longer). Customizable armor and a visual guild system allow a player to make their character truly unique. Embark on an epic quest to complete the Tome of Knowledge and unlock Warhammer lore, detailed monster information, and major story plotlines. Play WAR, DAoC and UO for FREE... thanks to "The Re-Enlisters"
Warhammer Fan Danny has made this awesome tribute to Warhammer Online. Great music Danny! WAR: Fight for the forces of Destruction!